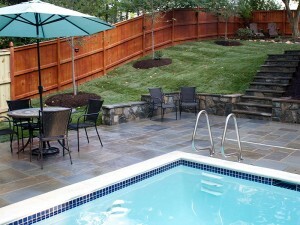 We just completed a project in North Arlington for a really great customer. 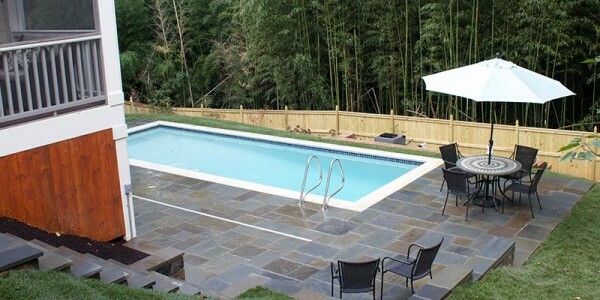 They had recently built a beautiful home and during the construction they installed a pool. As illustrated by the two “before” pictures, the backyard was inaccessible and congested. 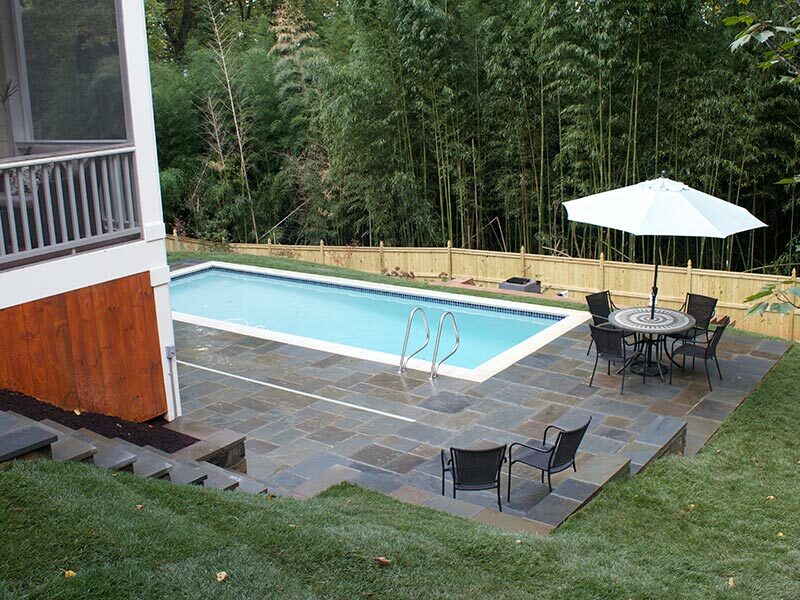 The customer’s vision was a landscape that provided lots of space around the pool and facilitated easy flow from the house to the pool. 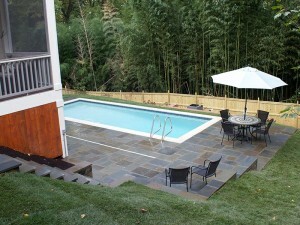 Our first step was to bring in multiple truckloads of dirt to fill in the hillside below the pool. 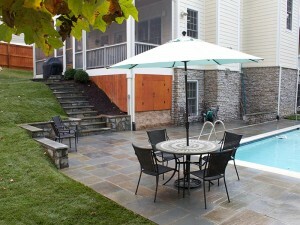 This allowed us to create lawn space on the back side of the pool, which opened up the feel of the entire space. Then we added a flagstone patio with stone seating walls so that there would be ample entertaining space around the pool. 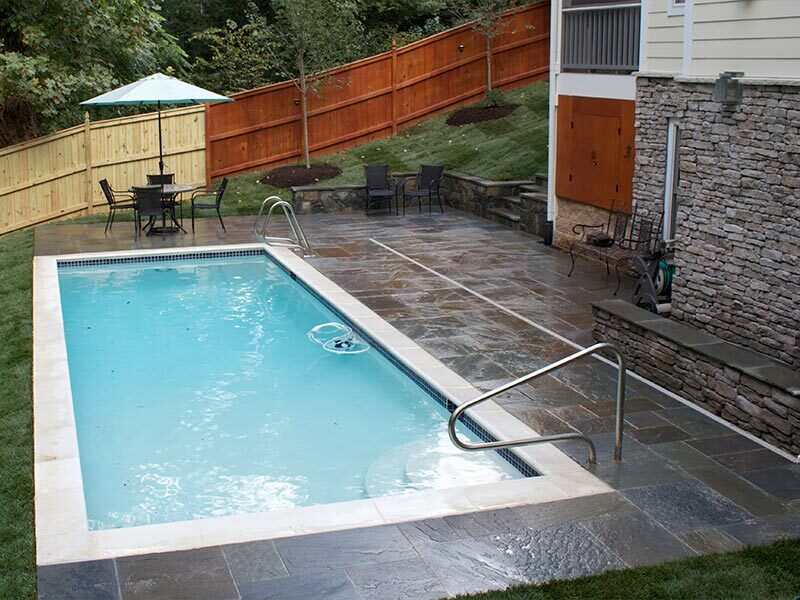 We also built a series of flagstone steps and landings connecting the back door to the pool space. 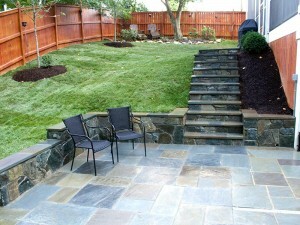 We then installed plant material and lawn space to compliment and soften the hardscape features. 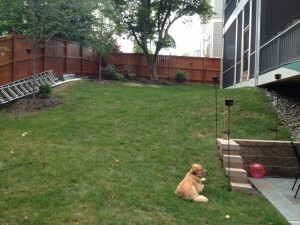 Finally, we installed a landscape lighting system. The landscape lighting allows the homeowner to enjoy the property year-round and extends the use of the Flagstone patios late into the evening. The design pulled together the existing and new elements into a landscape that invites you to enjoy the outdoors. ← Why Do Seating Walls Work?